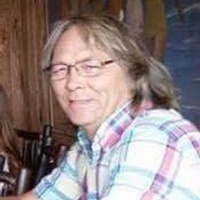 Terry Dwayne Love, Age 60, of Cee Vee Texas, died on September 1, 2018. Terry was born to Joann and Donald Love in Childress, Texas. He graduated from Paducah high school in 1976. Terry was good person with a kind soul. He would help anyone in need; giving them the shirt off his back, even when he didn’t have one to give. He never raised his voice no matter how chaotic the world around him was - and with raising 4 girls, there was plenty to go around. Some of his fondest memories were farming in Cee Vee with his father and granddaddy. Growing up on the farm, he learned how to fix most anything. At an early age, he could tear anything apart and always put it back together. This helped him in his chosen vocation, telecommunications. He had a successful career and could wire or network anything. He loved the land, sunsets, BBQ, music and family. You could ask him any question about music; and he could tell you about the band, the music and was quick to play a video of his favorite concert. He is survived by his Wife, Brandi, Daughters; Elissa, Rebecca, Nicole and Candace, Mother; Joann, Brother; Randy, Grandchildren; Aiden, Trace, Brandon, Keelee, Scarlett, Collin, Kembree, and Gracelynn. He is preceded in death by his father Donald Love and a grandson, Dylan. His passing was unexpected, but even in death, Terry has brought us together. Please join us for a celebration of his life at the First Baptist Church of Paducah, Texas on Tuesday September 4, at 2PM.